In Edwardian Suffolk, a manor house stands alone in a lost corner of the Fens: a glinting wilderness of water whose whispering reeds guard ancient secrets. Maud is a lonely child growing up without a mother, ruled by her repressive father. When he finds a painted medieval devil in a graveyard, unhallowed forces are awakened. 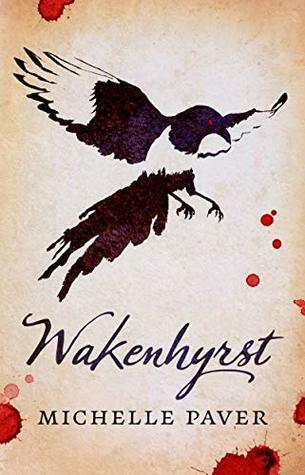 Spanning five centuries, Wakenhyrst is a darkly gothic thriller about murderous obsession and one girl's longing to fly free. Wakenhyrst was an interesting tale that held my attention from start to finish. The pacing was good as the mystery slowly unfolded, and it was great to see Maud develop as a character along the way. There was an excellent Gothic atmosphere to the work, and I enjoyed the symbolism and the use of English folklore blended with religion. This was a solid four-star read for me, and I recommend it to fans of Gothic tales and historical mysteries.